Between August 23 and September 16 of last year, 1,790 people entered the Electrify Your Ride Sweepstakes, sponsored by Minnesota Power, Great River Energy and its cooperatives, and Otter Tail Power Company. 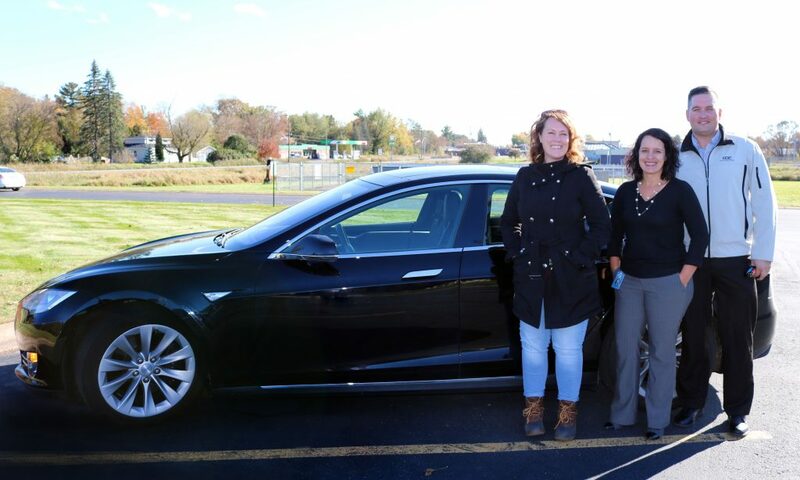 Coordinated by Drive Electric Minnesota staff as a way to increase electric vehicle (EV) knowledge around the state, the five winners of the sweepstakes won a week in a Tesla Model S.
Electric vehicles produce fewer emissions than conventional vehicles. True or False? What is a Time of Use Rate? Correct Answer: A rate offered by some utilities to incentivize customers to use electricity during specific times, generally in low demand times. Congratulations to East Central Energy Customers, who submitted 833 unique entries! These entries accounted for 46.5% of all entries. 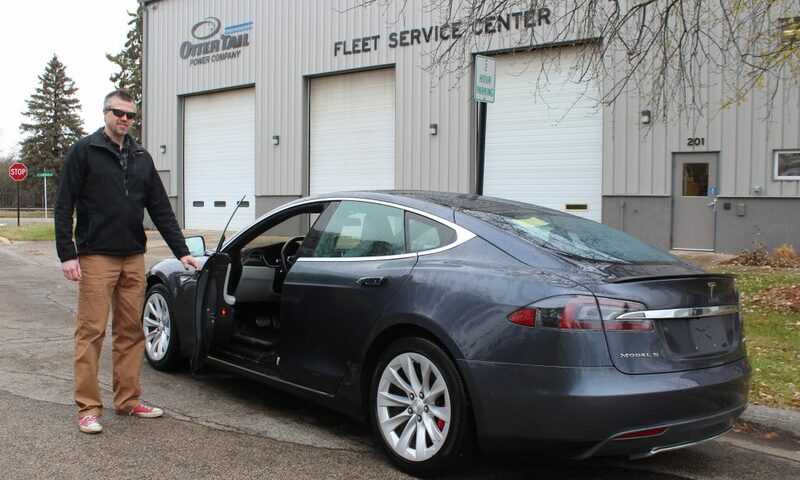 Calenn Heppner, an East Central Energy customer, took full advantage of the Tesla. He took three trips from his home in Foreston, MN, to Minneapolis, a 120-mile round trip. He also took day trips to Milaca, MN and Cedar Rapids, IA. Lindsay Izzard, also an East Central Energy customer from Foxboro, WI, drove at least an hour and half every day, commuting to work in Duluth, MN. Learn more about Lindsay and Calenn’s experiences on the ECE site. Runestone Electric also had a winner in its territory, Sheila Schilling of the Miltona area. Sheila made trips to St. Cloud and to the Twin Cities, driving the car as much as she could over the week. See Sheila’s full interview here. Terry Peoples of Gilby, ND won from Otter Tail Power Company (OTPCo). 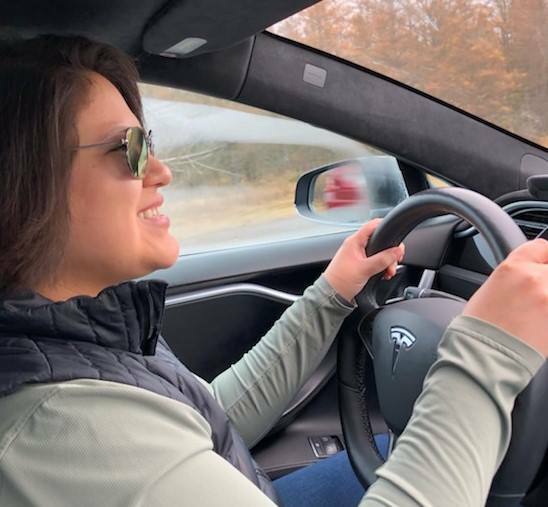 Like other winners, Peoples took full advantage of a week in a Tesla and drove 1,250 miles in seven days. Tune in to Terry’s full experience on OTPCo’s website. See more photos from Janell’s experience on Minnesota Power’s Facebook page. Congratulations to all the winners and thank you to our partners and everyone who entered the Electrify Your Ride Sweepstakes! 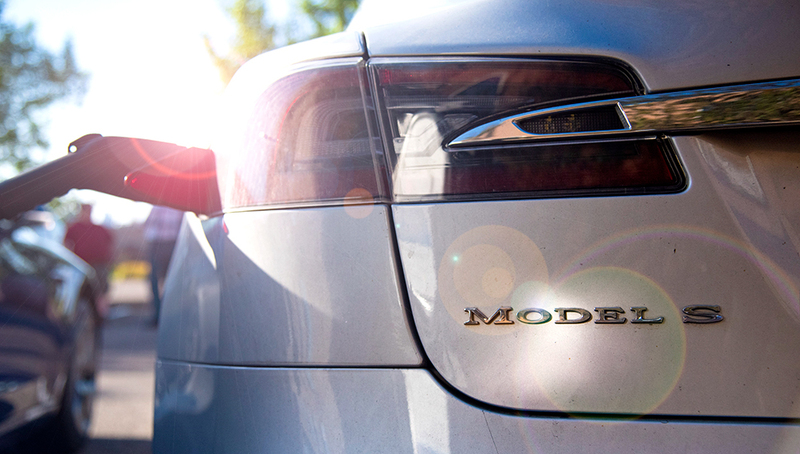 And keep your eyes peeled because there might be another chance to win a week in an EV coming soon!